The African-American Credit Union Coalition enters its third decade of building C-suite diversity and inclusive collaboration across the movement. The coalition uses advocacy and professional development to carry forth Martin Luther King Jr.’s message of economic inclusion and equality in the cooperative financial services space. 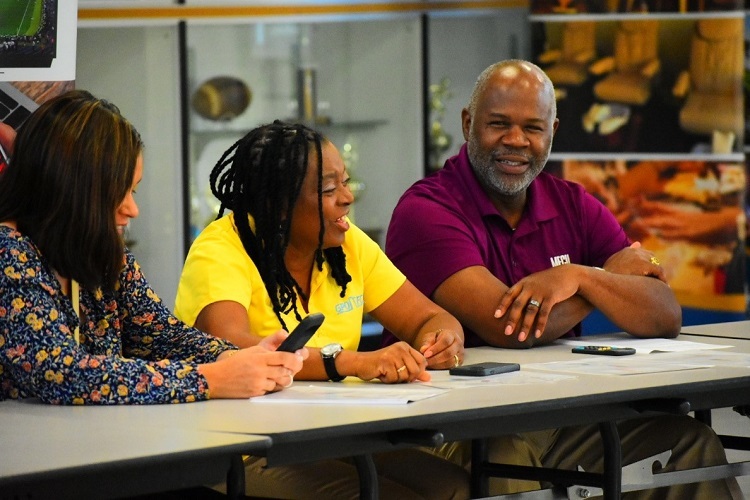 The African-American Credit Union Coalition is entering its third decade of building diversity and opportunity among credit union leadership through advocacy and professional development. After meeting informally at the CUNA Governmental Affairs Conference through the 1990s, the AACUC held its first annual meeting in 1999 in St. Louis, MO. The AACUC’s current membership includes 253 individuals, 65 credit unions, five leagues, five trade organizations, and 10 vendors. The organization is currently chaired by Adrian Johnson, senior vice president and chief financial officer at Municipal Employees Credit Union of Baltimore ($1.2B, Baltimore, MD). Johnson has been with MECU since 1997 and in his current position since 2010. 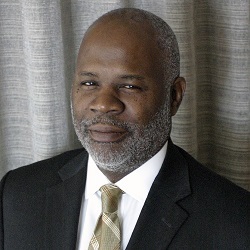 He joined the AACUC in 2002 and became chair in 2018. Here, Johnson talks about the AACUC’s ambitions and plans for 2019 and beyond. What programs and opportunities for development does the AACUC offer? Adrian Johnson: Our annual meeting provides an opportunity for members to network with one another and learn about current industry trends. Participants hear from prominent professionals in the industry on various topics. Regulatory agencies are represented as well. NCUA chairman Mark McWatters was our keynote speaker last year. We also have a Young Professionals Summit during the conference. These credit union professionals from 25 to 40 years old have specific topics and breakout sessions to further their career progression and knowledge of the industry. Internships also are part of our work and a financial reality fair is now a part of our annual conference. On the local level, we have eastern and southern regional chapters and a West Coast chapter coming soon. Their purpose is to provide networking, community involvement, and educational opportunities and to recruit new members. The AACUC will hold its 21st annual conference on Aug. 6-10, 2019, in Charlotte, NC. Check out these videos from the organization’s 2018 conference in Atlanta, GA.
How does the AACUC’s mission reflect Martin Luther King Jr.’s message of economic equality? AJ: The AACUC’s commitment to increasing diversity within the credit union community through advocacy and professional development reflects Dr. King’s message of economic quality that resonates to this day. In order for there to be economic equality, people must be educated, including how to manage their finances. They must be taught and trained so they can get better jobs, and they need to understand how to create opportunities for themselves and to reach out to others for assistance. Dr. King wanted everyone to work together to achieve economic equality. At the AACUC, we’re mindful that it takes a village to see everyone succeed. We have a membership that is racially diverse as well as diverse in credit union positions, types of organizations, and influence. We are an inclusive organization, not exclusive. Can you talk about the representation of African-Americans among credit union leadership? AJ: Our founding members’ vision stemmed from the need for economic equality and African-Americans having a voice in the credit union movement. Twenty years ago, there were no statistics on the positions held by African-Americans in credit unions. Today, there still lacks adequate documentation on all positions — C-suite, board composition, managers, staff, vendors. With the assistance of credit union leagues across the country — spearheaded by Mike Mercer at the Georgia Credit Union Affiliates — we do know there were 165 African-American presidents and CEOs leading credit unions as of August 2018. In 2019, the AACUC will be working with organizations in the credit union industry to research these statistics. In the words of the late Dr. Martin Luther King, we must be reminded of the fierce urgency of now. This is no time to engage in the luxury of cooling off or take the tranquilizing drug of gradualism. Simply put, the AACUC must forge ahead as an organization that makes a difference in our communities and beyond. It’s important for our members, and the greater credit union community, to know how many African-Americans are now leading credit unions in C-suites and boardrooms. There’s power in knowing that you do have opportunities to grow, for your voice to be heard. How would you describe the organization’s growth and progress in its two decades? AJ: The AACUC has provided a national platform to acknowledge and celebrate the contributions of African-Americans to the credit union movement. Our members have been a part of boards and committees throughout the industry that have impacted credit union members. We believe this would not be the case if the AACUC wasn’t a part of the movement. It created the African-American Credit Union Hall of Fame because there are many credit union professionals that have made significant contributions, but their stories have gone untold. CUNA’s current board chairman, LGFCU president and CEO Maurice Smith, is the first African-American to hold that position. He was inducted into the Hall of Fame in 2017 and is a member of our board of directors. The AACUC also honors one credit union professional annually with the Pete Crear Lifetime Achievement Award during the annual conference. Pete Crear was instrumental in helping to create the AACUC. For many years he was the highest ranking African-American in the credit union movement. He was a president and CEO of three credit union leagues, an interim CEO and EVP of operations at CUNA, and retired from the World Council of Credit Unions as president and CEO. The AACUC continues to shine a light on the need for diversity but more importantly the need to work collaboratively for everyone’s voice to be acknowledged. It is often called upon to provide diverse executive talent for C-level positions and asked to participate in discussions and initiatives regarding minority and underserved communities. Continue to be the “go to” organization to identify executive talent for credit union organizations. Work diligently to maintain sound and healthy partnerships that can safely adapt to members’ changing needs. Continue to engage young professionals. Continue to provide professional development opportunities. Advocate for credit unions, and collaborate with our partners. You have big plans for the next two decades for the AACUC. How will you achieve these goals? AJ: Working along with the board and executive director [Renee Sattiewhite] to strengthen the organizational structure of the AACUC. Because the AACUC is a 501(c)(3), my goal is to achieve long-term sustainability with a capital fund campaign that will help secure funding for our operations and programs. We’ll also continue to identify up-and-coming leaders in the credit union industry and provide mentoring and networking opportunities for these individuals. How would you describe the state of the credit union movement through the AACUC lens? And your own? AJ: Although there continues to be consolidation in the credit union industry, the movement is strong and growing every day. I’m encouraged by the sensitivity to diversity and the need to expand the variety of voices who shape public policy and financial services offerings. I believe the AACUC brings a unique perspective to the discussion about financial inclusion. Credit unions were invented to give everyday people a choice and a voice. With individual and family financial stability comes stronger communities. Developing credit union leaders focused on building financial empowerment in communities provides long-term financial security and stability for individuals and families. What challenges do you see in the year ahead for credit union members and individual members of the AACUC? AJ: The challenges are the same for people at any financial institution. Competition, technology (including the internet), disruptions, economic pressures, shifting demographics, and regulatory risks, just to name a few. Individual members want the opportunity to showcase their talents, skill sets, and abilities to be leaders. As an organization, we would love to show the industry what these amazing and talented professionals do. I have a favorite saying: “Stick to the facts.” It’s important for our members, and the greater credit union community, to know how many African-Americans are leading credit unions in C-suites and boardrooms. There’s power in knowing that you have opportunities to grow, for your voice to be heard. AACUC chair Adrian Johnson with two volunteers at the organization’s sixth annual financial literacy fair, held in conjunction with its 20th annual conference in Atlanta, GA, last August. How can they meet these challenges? AJ: AACUC members are hungry to get involved, to make a difference. We believe an active, supported, and engaged AACUC is a great benefit for credit unions, communities, and the country. We cannot be distracted by the negative images that are displayed in certain media outlets. We must continue to remain positive and encouraged that we’re creating better days for everyone. With credit unions closing and merging, it’s important that we continue to network and find positions suitable for diverse candidates. We must understand our value to the movement and to our credit unions. What opportunities do you see in the year ahead for credit union members and individual members of the AACUC? AJ: The opportunities revolve around identifying a member base and providing a variety of ways for credit union members to do business with their credit unions. In this digital age, members desire quicker access to their money, quicker decisions regarding loans, and excellent customer service. Our AACUC member credit unions and individual members have the opportunity to be leaders in service. How can they seize these opportunities? AJ: By going back to the basics of why credit unions were created. By providing extraordinary customer service along with products and services tailored to our membership base.